Designing your bath is no small undertaking. After all, there are so many elements to these spaces to consider such as cabinets, plumbing, flooring, lighting to name just a few. The details are many and more choices become available everyday in turn, making decisions difficult to make. However, these are special rooms in our homes and they are worthy of our attention. Our bathrooms provide us with quite tranquil moments where we can rejuvenate or relax at day’s beginning and end. 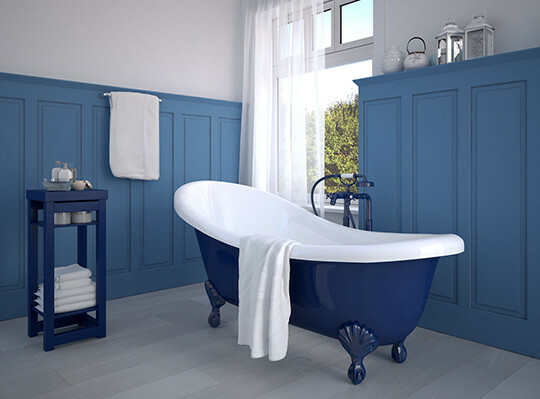 In this section, we will offer you some guidance to help you along your journey designing a new bath from the ground up, breathing new life into an outdated space. Colors, Trends & Questionnaire– explore these sections to help you define your design priorities and how you would like your bath to function. Take Inventory-- take inventory of your current bathroom and write down what you like and don’t like about it. Sometimes understanding what you don’t like is the easiest way to find out what you do like. Then make a list of the must haves and not necessaries.